Love hunting Thanksgiving Day! Deer get pushed all over the place. Getting in stand early usual pays off for me, was in by 5:00am. Had five very nerves doe's in front of me a little after day break. They stood in front of me for about a half hour before they decided to move on. 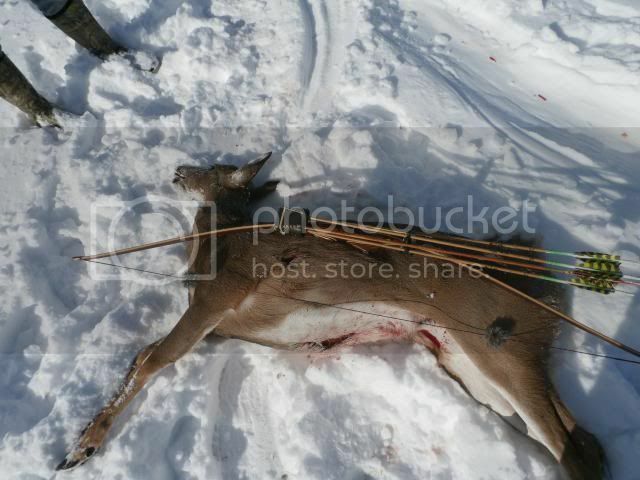 Finally the lead doe gave me a perfect 16 yard broadside shot. 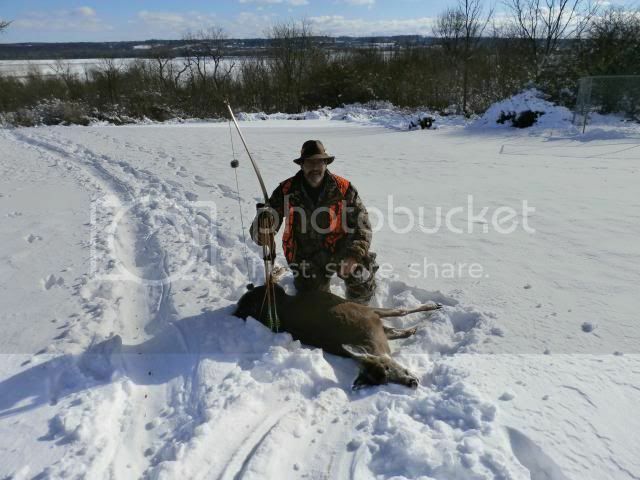 Double lunger.She was a big doe and going to make breakfast sausage for family and friends with her. Great! Congrats on the fine Thanksgiving Day Doe!! Way to go Hooper. Great hunt. Thats The Way Brian. Congrats, you have had a great year!